Heat pump systems provide Indianapolis homeowners with a year-round, highly efficient heating and cooling option that they can trust. But no matter how great the tech or reliable the system, age will eventually have its way. 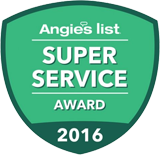 When it comes time to replace your home heat pump, you want a superior service team that can help you regain the top-class comfort you’ve come to love. And that’s why you choose the certified specialists at Service Plus Heating, Cooling & Plumbing! We offer perfect replacement service to our clients, bringing you the best in heat pump technology and a service that guarantees optimal results. When you want efficiency, reliability, and perfection both from your new system and the team you’ve chosen to install it, choose Service Plus and you’ll never be let down. A new heat pump system should do more than just restore your home comfort. It should provide you with leading benefits, higher SEER and HSPF ratings, more efficiency, and lower heating and cooling costs. And that’s what our experts aim to provide. We bring to the table the best in the industry in superior HVAC products, and will help guide you toward the ideal model to meet your unique home needs. Our replacement services strive for absolute perfection, optimizing your new system for maximum performance, and at ideal heat pump prices. When your current system isn’t meeting your needs. If you aren’t getting the heating and cooling quality you desire from your system, a new heat pump system is your ideal solution. When heat pump repair calls become too frequent. Tired of seeing those mounting repair bills? Save yourself the stress, cost, and time and talk to Service Plus about a new heat pump! If your existing heat pump is below the current SEER. If your system is below the current required minimum, 14 SEER, then you’re missing out on loads of efficiency and power benefits. Your system is getting too old. Heat pumps have plenty of lasting power, but past ten to fifteen years you’re going to note a considerable loss in cooling and heating power, and in overall effectiveness and efficiency. You’re ready to change to heat pumps. Maybe you’ve got a central system and furnace at the moment. While these are good enough, a heat pump system combines the systems into one, and provides many unique perks and benefits! Ready to stop stressing and start getting the quality and service you deserve? Trust the professionals at Service Plus to bring you the best in the industry! You can contact us online at any time, or speak to our experts directly by giving us a call at (317) 434-2627! We provide heat pump replacements in Indianapolis and the surrounding communities, including Anderson, Avon, Carmel, Fishers, Greenfield, Greenwood, Lawrence, McCordsville, Noblesville, Plainfield, Westfield, and Zionsville, Indiana.